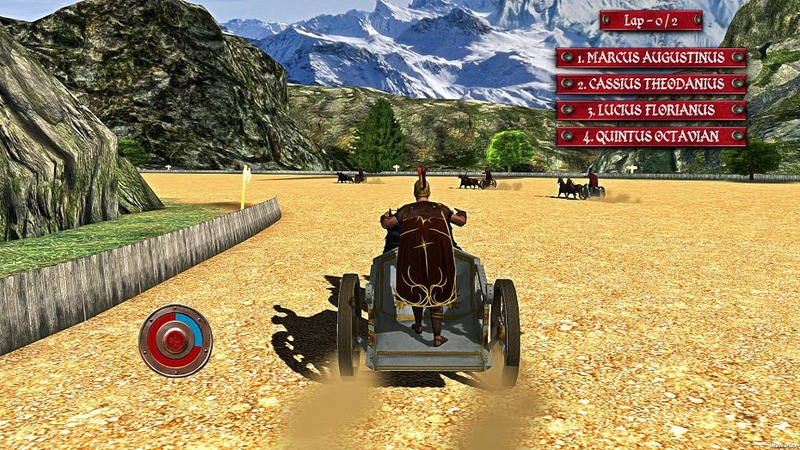 Launching earlier today on Steam, Chariot Wars, a story-driven racing game puts you behind the wheel…*ahem* reins of a chariot, racing from Rome to Helvetia. It’s 128A.D. and the Emperor Hadrian is holding a festival of sorts, to celebrate his reign as Roman emperor. The chariot racing portion of the game is merely the tip of the iceberg. The night before the race is to begin, one of the participants is found murdered alongside an unknown woman. Your character is the head of Hadrian’s guard, and is tasked with solving these murders. You’re also thrust into the race, as the replacement for the one who was murdered. While winning races to remain in the championship, you must also solve the murders without finding yourself the next victim. The noble families are feuding, and you must solve the mystery behind the deaths, win the races, but also stay alive. It’s available on steam now, for $24.99. It’s PC only, so keep that in mind. Features day/night races, customizable and upgradeable chariots, as well as up to 8 player multiplayer races. Let us know in the comments if you’ve already picked it up and what you think.